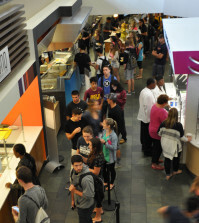 If there’s one thing Quinnipiac students love for breakfast, it’s omelettes. We already have the breakfast station open every morning, the grill makes scrambled eggs and breakfast sandwiches, and now there’s a new addition to our breakfast regime. Boar’s Head, the station at the furthest point of the cafe, to the far right of Java John’s register, is now making our favorite breakfast treat even more accessible for those busy Café Q mornings. 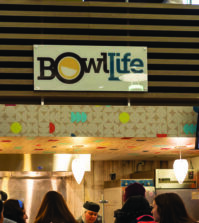 The new station allows students to choose their own ingredients by putting them into a Styrofoam bowl,handing it to the chefs and watching them make their breakfast in front of their eyes on a mini-grill system. It may not be a revolutionary concept, but it sure makes getting breakfast much easier in the morning, or in this case all day long. 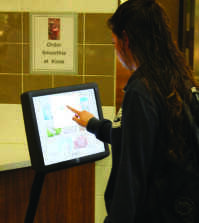 “The new omelette station was opened to help alleviate the lines at The Kitchen at the BYOB Grill during breakfast,” Leean Spalding, the Chartwells’ Associate Director of Dining Services said. “The station is kept opened during the day to offer another entree during the day and help shorten the lines overall.” Instead of waiting in line for 15-20 minutes to grab breakfast over at “The Kitchen” station, try stopping by Boar’s Head and letting them try their hand at making your breakfast. They’re fast, you get to handle your food yourself, and they taste just as great. It’s a win/win for everyone.